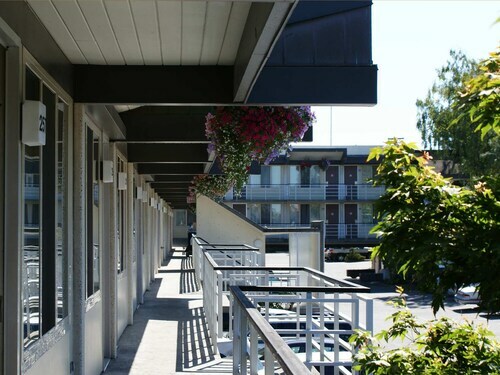 Situated in Victoria, this hotel is 0.9 mi (1.4 km) from Government Street and within 3 mi (5 km) of Victoria Harbour and Save-On-Foods Memorial Centre. Royal BC Museum and Victoria Clipper Ferry Terminal are also within 3 mi (5 km). 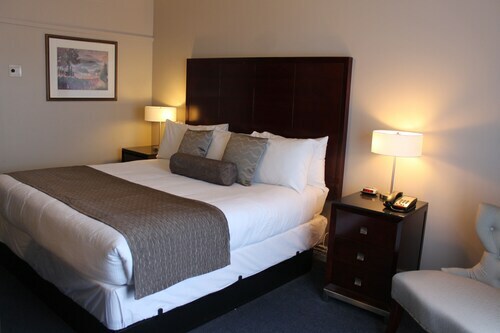 Located in Downtown Victoria, this hotel is within a 5-minute walk of Government Street and Save-On-Foods Memorial Centre. Victoria Harbour and Royal BC Museum are also within 1 mi (2 km). 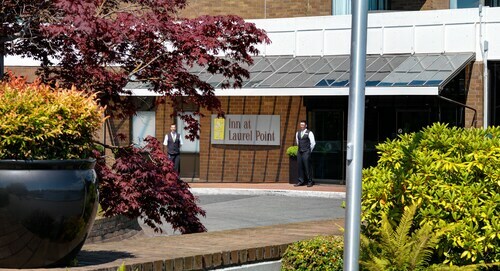 Located in Downtown Victoria, this motel is within a 5-minute walk of Government Street and Save-On-Foods Memorial Centre. Victoria Royal Theatre and Royal BC Museum are also within 1 mi (2 km). 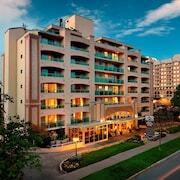 Located in South Oak Bay, this luxury resort is within a 10-minute walk of Victoria Golf Club and Oak Bay Marina. Abkhazi Garden and Cadboro Bay are also within 3 mi (5 km). 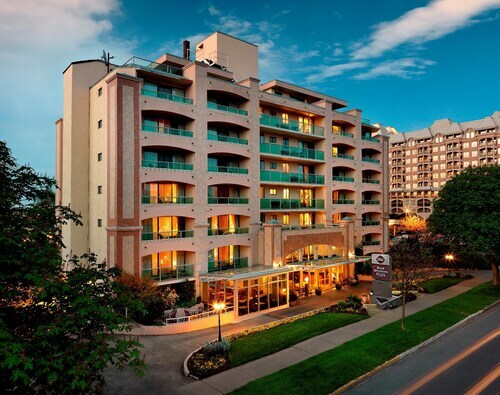 This waterfront hotel overlooking Brentwood Bay is 2 km (1 mile) from Butchart Gardens, 15 km (9 miles) from the Swartz Bay ferry terminal, and 22 km (14 miles) from downtown Victoria. How Much is a Hotel Room in Victoria? 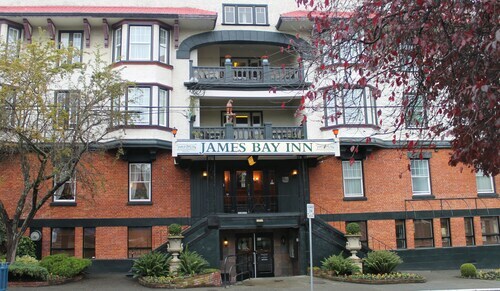 Hotels in Victoria start at C$69 per night. Prices and availability subject to change. Additional terms may apply. Welcome to one of the oldest cities in the Pacific Northwest. 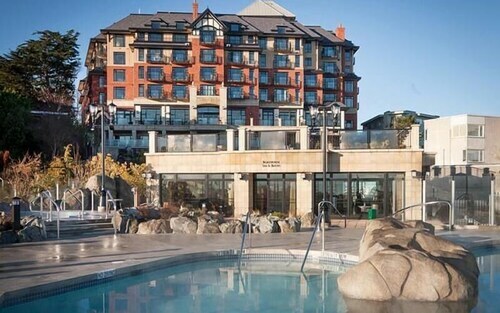 First settled by the British in 1847, Victoria, in British Columbia, boasts a beautiful location on Canada's west coast and a cultural heritage that runs deeply throughout the city. 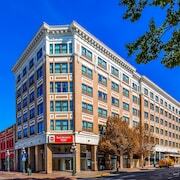 Hotels in downtown Victoria show off historical buildings and luxurious surroundings that make this a prime destination. 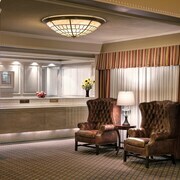 Travelocity has Victoria hotel deals to please any traveler. Victoria is one of the most historic cities in Canada. 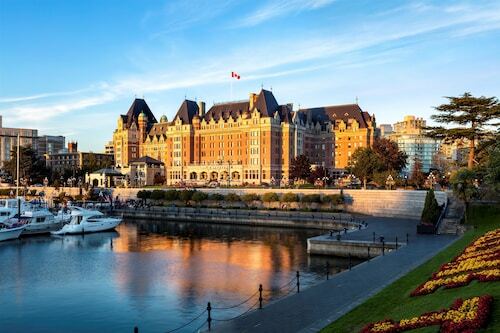 Get out from one of many Victoria hotels and see the neo-Baroque architecture of the British Columbia Parliament buildings, which were built in the late 19th Century. Admire the vaulted ceilings and Gothic construction of the Christ Church Cathedral. 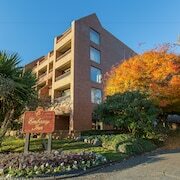 Get out of the city and take in the beautiful vistas of the Esquimalt Lagoon or the Straight of Juan de Fuca. If you are an animal lover, you'll be wowed by the numerous whale-watching adventures that are available throughout the season. 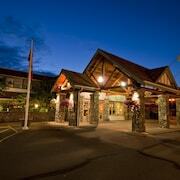 Brush up on your swing or take clients out to one of Victoria's many beautiful golf courses. 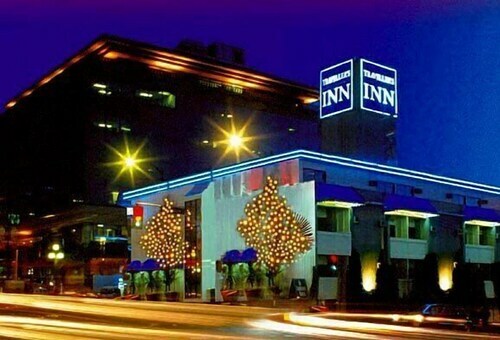 If you are traveling on business, the convenience of hotels near Victoria International Airport may be just the ticket. 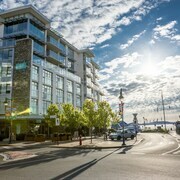 Fresh seafood and culinary innovations dot Victoria's waterfront landscape. World-class chefs craft food from fresh, local ingredients. You can meet the chefs and, if you'd like to, go for a short drive and meet the farmers and fishermen, too. 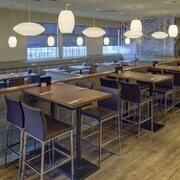 The vistas from waterfront patios provide a stunning backdrop for a meal. After dinner, take a stroll through the ambient downtown streets to grab a pint at one of several craft breweries within walking distance from many of the hotels in Victoria. 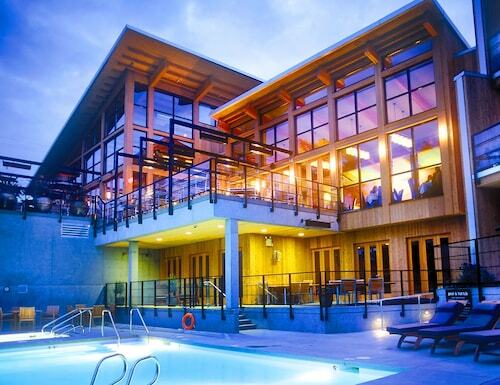 Don't miss a chance to enjoy this jewel of the Pacific Northwest. And, when you book your trip, get mobile exclusive deals on the Travelocity app. Love this little gem! 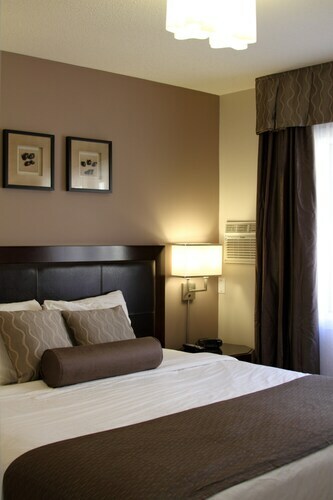 Great spacious rooms, comfortable beds (great pillows), even an apartment style kitchen! 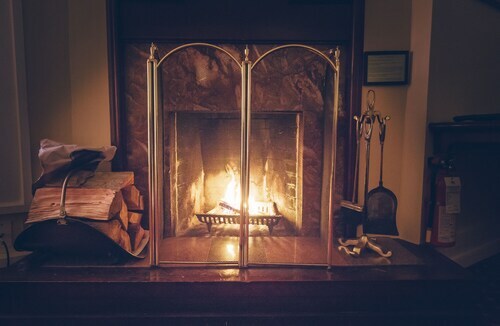 The Bedford is a historic property built in the 1860s and is an important part of Victorias history. As expected, food on site was good. Staff friendly, lots of parking. 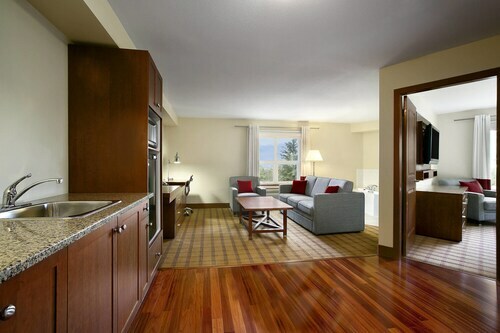 Excellent location ,great view, friendly helpful staff . Very clean and quiet. Check in was very smooth. We stayed in the green house next to the hotel. 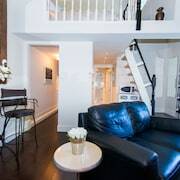 Stairs are very steep but nicely remodeled suite with microwave and full size fridge in kitchen area.